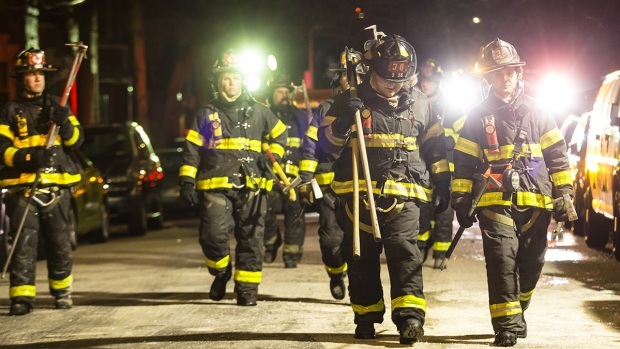 It was one of the worst fires in New York City history. Last December, a three-year-old playing with a stove ignited a fire on the first floor of 2363 Prospect Ave. in the Bronx. Thirteen people were killed when the flames and smoke raced up the stairwell, trapping victims inside the burning Bronx building. After the bodies were counted, fire investigators were very clear about a contributing factor: the apartment door where the fire ignited was left open, even though doors are supposed to be self-closing to prevent the spread of flames. Now, nearly four months after the Bronx inferno, the I-Team has discovered more than 22,000 other apartment doors that failed city inspections because they did not automatically close. The violations were issued by inspectors with the city’s Department of Housing Preservation and Development within the last three years. The I-Team found at least three faulty doors inside 2357 Prospect Avenue – a building that shares ownership with, and sits next door to, the one that burned in December. "For that kind of tragedy to happen and for you to not take some type of immediate action to try to safeguard your tenants, I think that is shameful on the part of the owners," said Kadian Blake, a tenant who lost five family members in the December fire. City property records list Howard Alkoff as the principal of D&A Equities, the company that owns both 2363 and 2357 Prospect Avenue. Attempts by the I-Team to reach Alkoff were not successful. Luis Soto, the superintendent of both buildings, said the first-floor apartment door that should have blocked the flames was working properly before December’s fatal fire. He added that the family living there never complained about the door. 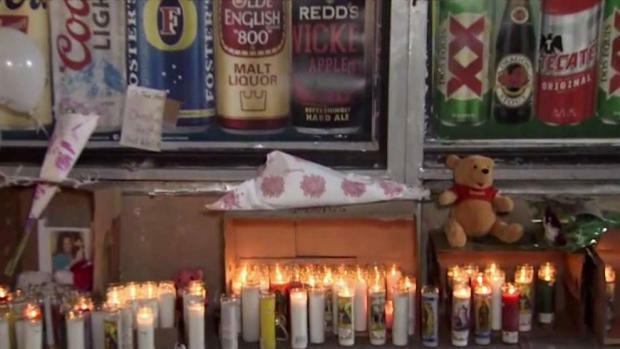 Mourners lit candles, cried and released balloons at a vigil for the 12 people who were killed in a fire in the Bronx on Thursday night. Wale Aliyu reports. But Robert Vilensky, an attorney representing families of fire victims, says he personally walked through the charred building after the fire and found lots of faulty doors. He also says an FDNY investigation report contradicts Soto. The report, according to Vilensky, quotes the three-year-old’s mother telling the FDNY her door did not close by itself. After the fatal fire, Soto said his team carefully looked for faulty fire doors in other properties controlled by Alkoff. “We did inspections to every single one,” Soto said. Despite those inspections, I-Team showed Soto three doors in 2357 Prospect Avenue that still failed to automatically close. Two weeks later, Soto told the I-Team he had those doors fixed as well. In the three months immediately after the deadly Bronx fire, HPD issued about 3,800 violations for faulty fire doors. That is double number of fire door violations issued during the same time period in 2017. “I think landlords should take seriously their fire safety responsibilities and that includes self-closing doors,” said Ann Marie Santiago, Acting Deputy HPD Commissioner. Since the fatal fire in December, HPD has also added fire doors to its mandatory inspection checklist. That means, even if a housing inspector is summoned to an apartment for a heat or hot water complaint, that inspector must check to see if the apartment door automatically closes and issue a violation if it does not. Vilensky said adding fire doors to the checklist is a positive step, but the reform comes too late. He’s notified New York City he intends to file a lawsuit on behalf of the fire victims’ families.